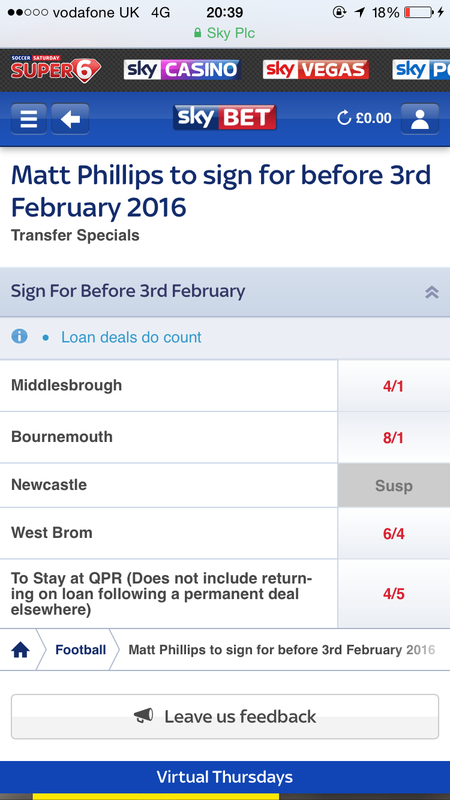 SkyBet have suspended betting on QPR winger Matt Phillips joining Newcastle United before 3rd February. Newcastle have been linked with the Scottish midfielder on and off over the past few months but, having completed the signing of Andros Townsend yesterday evening, it was presumed that our interest had cooled. Now, however, in a strange turn of events, SkyBet are no longer taking bets for him joining Newcastle. Bournemouth and West Brom have also been linked with the player this month, and it is believed that even though he is a regular for the West London club, he would be available for sale. Naturally, as a Brit, he wouldn’t come cheap. It is said that QPR are holding out for a bid of £10m, having already turned down a £6m offer from Middlesbrough this month. Phillips has played 24 times and scored four goals this season. It is highly unlikely there is any substance in the rumours considering our recent transfer activity, but it is still interesting nonetheless. Following the acquisitions of Shelvey, Saivet and Townsend this month, our net spend for January is now the largest for any club in the world. Although the club certainly have made a habit of disappointing us fans over the past decade, Mike Ashley has definitely pulled his finger out over the past few weeks. 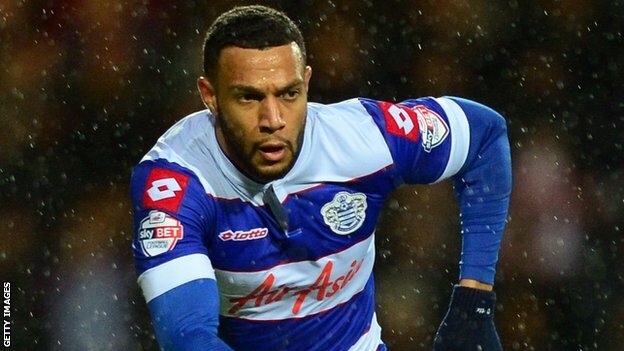 We recently published an opinion piece by a QPR fan, claiming Phillips is better than Townsend. You can view that piece HERE.